It is a 1952 softcover copy that has a slight whiff of incense to it. 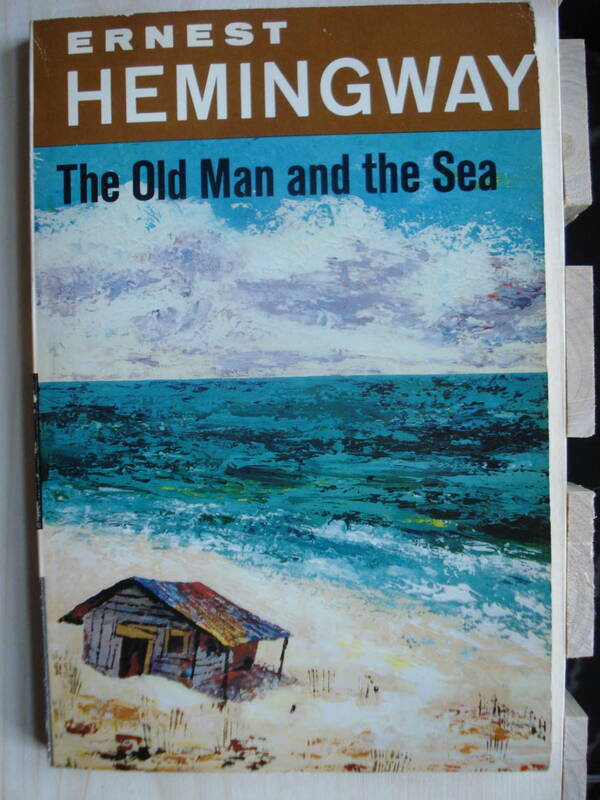 Ernest Hemingway, “The Old Man and the Sea,” 1952 edition. Photo by Mary Warner. I have not read a lot of Hemingway during my lifetime, maybe one other book in college. I’ve never been drawn to his books, though I couldn’t say why. Until I read this. Seriously, this is the saddest book ever. It’s a futile and depressing story of an old fisherman who catches this massive beauty of a marlin (likely a record-breaker) after 84 days without catching a fish. It takes him forever to tire out the fish enough to harpoon it. 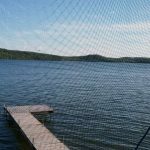 The fish is so big it won’t fit in his boat, so the fisherman lashes it to the side and as he sails back to shore, the marlin is eaten by sharks. All that’s left of the marlin is its skeleton. Some consolation after all that back-breaking work, eh? Sheesh, Ernest, thanks for making me hope the guy was pulled overboard by the marlin or eaten by sharks rather than face the disappointment of losing the fish altogether. Just goes to show that I prefer happy, or at least neutral or nebulous, endings, instead of heartbreaking ones. I did find the copyright page to be interesting, particularly how “This book is also protected under the Berne Convention”. Have you read any Hemingway? If so, what’s your favorite Hemingway story? Do you know of any with happier endings? 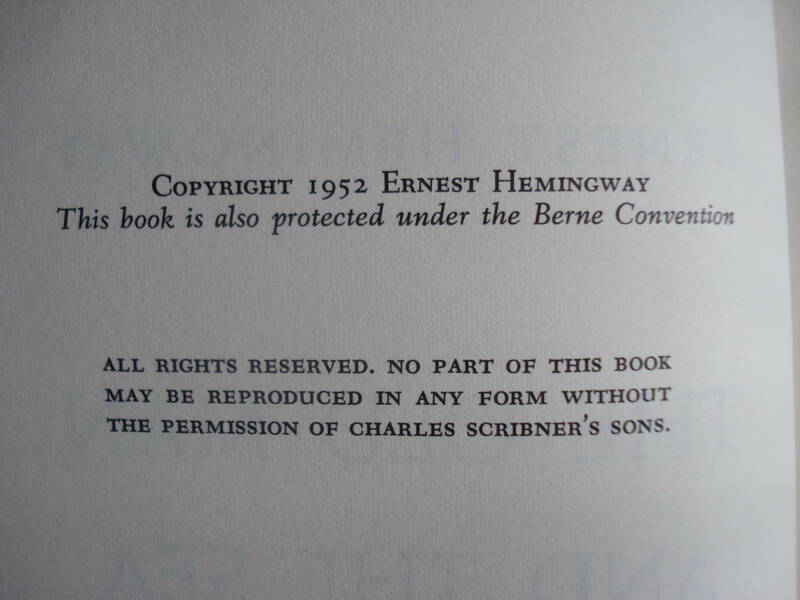 Copyright page, “The Old Man and the Sea” by Ernest Hemingway, 1952. Photo by Mary Warner.